The King is back! This Elvis Enlistment Photo Tin Sign features a wonderful 1958 Army enlistment photo of the King in black and white. 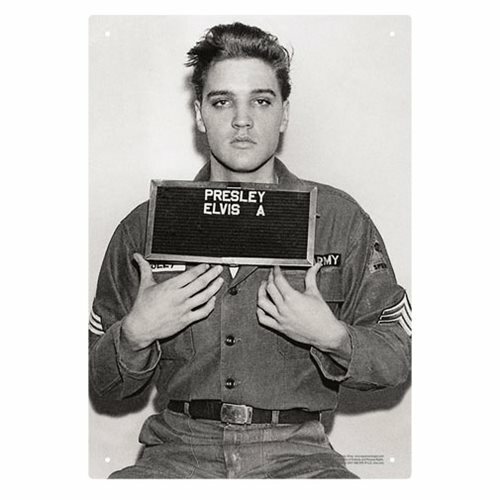 This Elvis Enlistment Photo Tin Sign measure 8-inches long x 11 1/2-inches tall. Ages 14 and up.